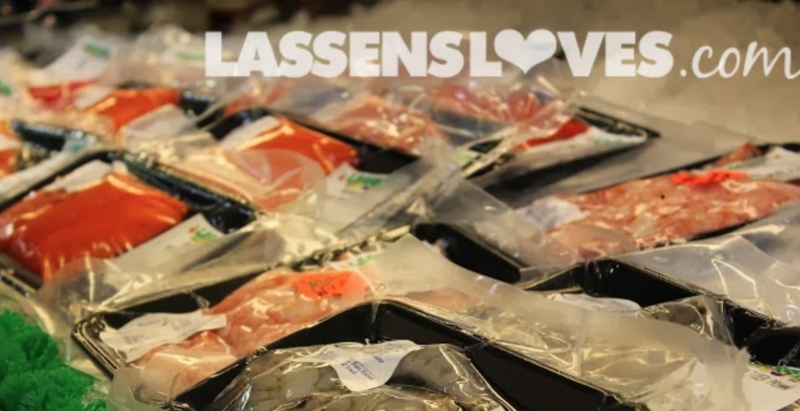 When we go to the store to buy fish, we think we are making a healthy choice. And eating fish does have a lot of great benefits. See this article from the Mayo Clinic for more information on how eating fish can help keep our hearts healthy. Fish, along with other healthy foods, can provide us with healthy Omega 3s. This article From Health Ambition will open your eyes to the Omega 3 possibilities! 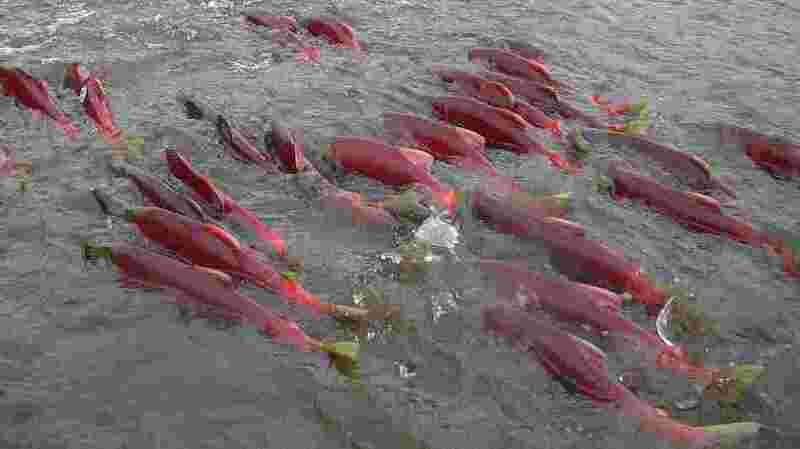 Look at these beautiful and wild Sockeye Salmon, heading upstream to spawn! Wild fish are, well, wild. After they hatch in rivers and streams, they head out to sea where they live for 1-8 years at sea, eating and growning and avoiding predators. Wild fish have a highly diversified diet as they swim freely and over a large range. They eventually make their way back to the rivers and streams where they hatched, often jumping rapids and waterfalls to reach their spawning grounds. 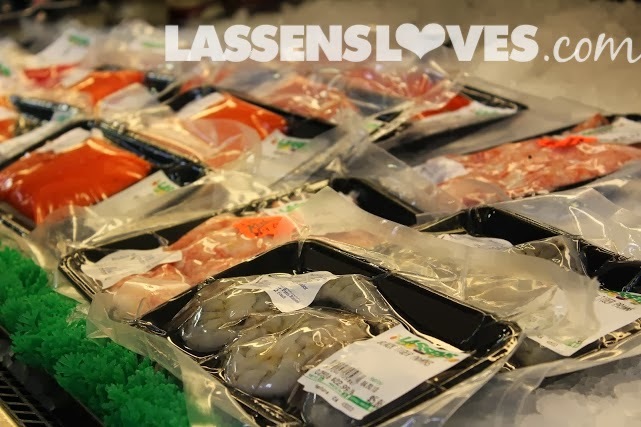 Why Should we Choose Wild Salmon? 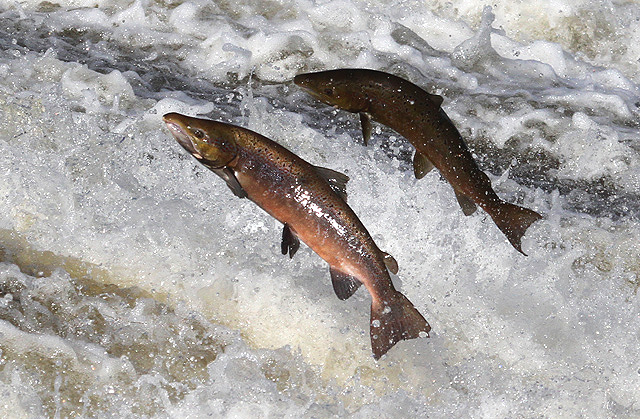 Wild salmon spend all of their time swimming (duh!) and that muscle development means great Omega-3 growth in their bodies. They eat a variety of foods, which help them to maintain strength and health. 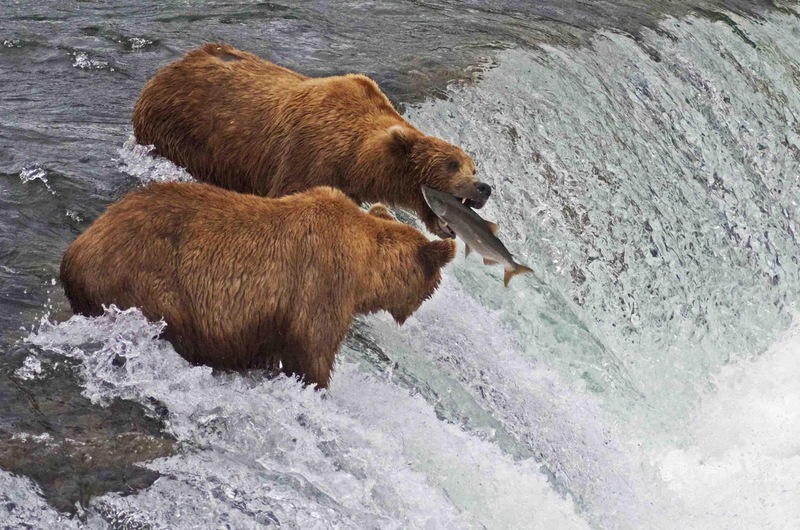 Wild Salmon also swim in dangerous waters–seals, whales, and other predators provide a natural culling process to weed out any weak or sick fish. And of course the bears! Only the healthy and strong fish are able to make it back to the spawning grounds, where the salmon are caught for market. So when we make a choice to buy only Wild Caught Salmon at the market, we are voting with our dollars–our consumer power–and sending a message that wild salmon is what we want in our markets, our restaurants, and on our dinner plates. 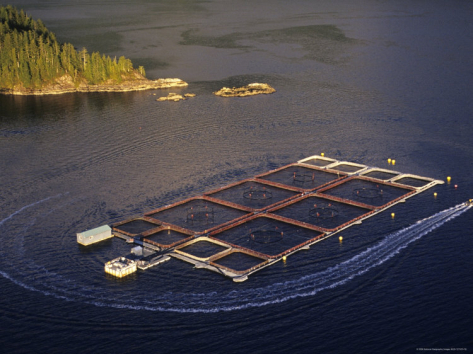 This study from the University of Albany exposes some worrying concerns about eating farmed salmon. And this documentary about Canadian policies is an eye-opener that made me determined to avoid farmed fish. 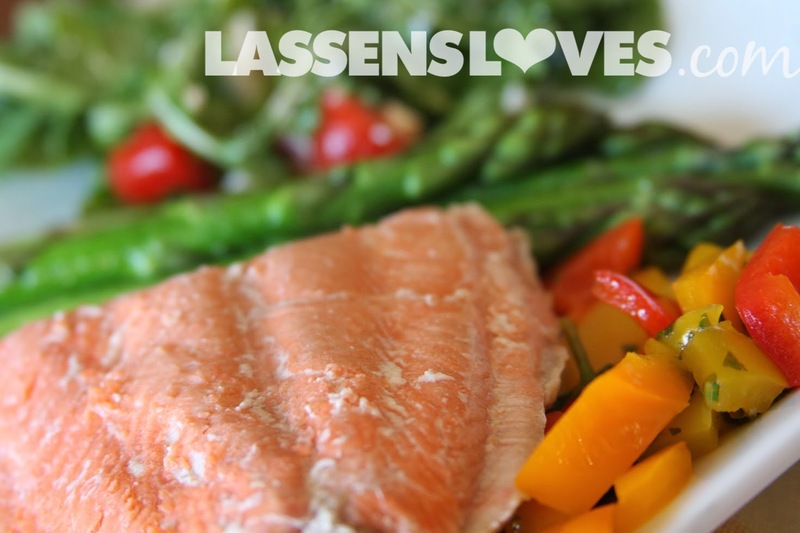 So when you make this delicious salmon recipe, make sure you choose Wild Caught Salmon!